We are open Good Friday and Saturday, Normal Times across all our markets and closed on Bank Holiday. You may have already seen the new dedicated events space that we have created in the middle of the market, it’s now complete and ready in time for our Christmas programme! We intend the space to be used for various promotional events, ‘pop up’ test trading, product launches or general awareness/fundraising campaigns throughout the year. It all Spooks with us this Halloween, we have ghoulish activities lined up at the ready across our markets! We’re aiming for Victory so let’s get them in to Shop for Victory so we can feel Victorious! 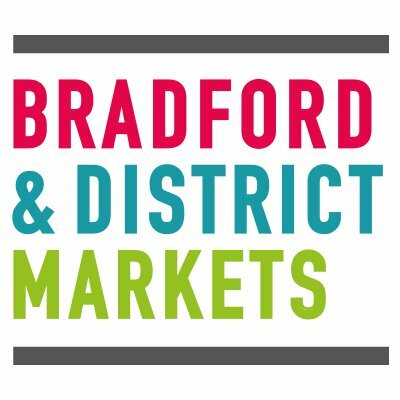 Over the past few months, we have worked with local artists, Jean Mcewan and Chemaine Cooke from Wur Bradford on various projects that aim to create a sense of ambience and atmosphere in the markets. The lucky winners of our Christmas Loyalty Card scheme in both Oastler and Kirkgate Market were revealed at the end of December. Traders will be very pleased to know that the top 3 prizes, which were randomly drawn from our raffle box, went to regular shoppers of the markets. Traders and staff at Keighley Market brought the spirit of Christmas to the centre of Keighley by raising £2170.00 for Sue Ryder Manorlands Hospice. Generous shoppers bought raffle tickets for the chance to win a six-in-one games table, with table football, push hockey, skittles, pool, draughts and table tennis. Cheaper city centre parking is on the way at the Westgate car park, next to the Oastler Centre. City Centre Markets participate in Christmas Campaign to boost Footfall in the Festive Season. Shoppers at Oastler Centre and Kirkgate Market could be in for a treat this year by signing up to our Christmas Loyalty Card Scheme, with a £500 Cash Prize, food vouchers and hampers brimming with goodies all up for grabs. Halloween: It’s close to half-term and something creepy is lurking in the mart….